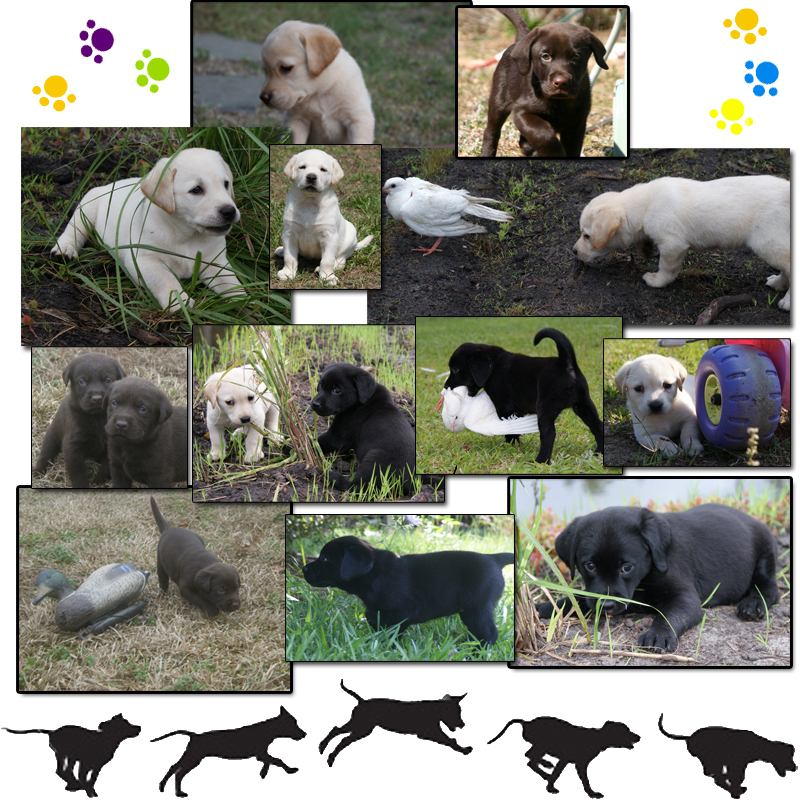 River Ridge Kennels is dedicated to breeding the highest quality Labrador Retrievers for the home and field. The parents of our litters are carefully screened to ensure the likelihood of a puppy with a strong “natural” desire to retrieve, exceptional conformation, and pleasant, eager to please disposition expected of the most popular breed in America. Both the Sire and Dam of our prospective litters are screened by the Orthopedic Foundation for Animals (OFA) and Canine Eye Registration Foundation (CERF) to ensure we breed healthier dogs and reduce the risk of hereditary diseases. Each of our puppies is well socialized and exposed to a variety of environments before leaving our kennel to set the foundation for success in the home and field. Each of our puppies is dual registered with the American Kennel Club (AKC) and United Kennel Club (UKC), and have a 26-month conditional health guarantee from having degenerative eye disease and genetic hip dysplasia. "Sparta has turned out to be a great dog! He has lost a little bit of the puppy, but is still loads of fun!! He retrieves perfectly, however, I do not hunt!! This morning he decided to retrieve the neighbors' paper! He runs with me a few times a week around three miles. He is a great companion. You bred a great dog! Thanks, Wes"
"I wanted to thank you and your family for having such awesome dogs. I got Allie in January and she has been a pleasure to train and she loves my kids. She is retrieving and returning on command but most of the time she returns without saying a word. I wanted to send you some pics of her and how much she has grown. Thanks, Stephen"